It's not all Halo news at E3. Gears of Halo does care about a few other games, especially Bioshock: Infinite. At one of today's many press conferences Bioshock's Lead Developer Boss/ Producer Ken Levine came on stage during Sony's press conference to apologize for prior comments he made regarding motion control, and also, coincidentally, to reveal that BioShock Infinite would be supporting PlayStation Move (which is to be like Kinect for Xbox). Mister Levine made the claim that a standard controller was what stood between a potential gamer and BioShock Infinite, and that Move would make the experience more accessible. By that, I think was he meant was that Move would entice and be a reason to buy the game! Levine also revealed to the press audience that there would be a BioShock NGP / Vita hand held device. No details about the this new game would be revealed. 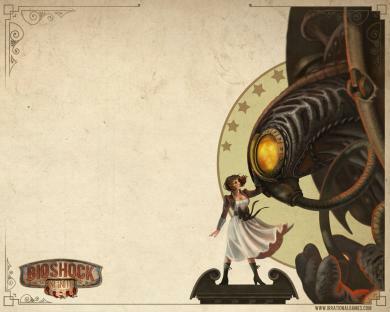 Finally, Levine revealed that Play Station 3 version of BioShock Infinite will also ship with a Totally free copy of the original BioShock game on the same Blu-Ray. Woohoo! No word on what, If anything the 360 would get. Now, back to pining for Halo 4!